Leave it to Michael Bay to potentially anger the ghost of Winston Churchill. The director—or at least his latest Transformers movie—has stirred the wrath of veterans in the U.K. for hanging giant swastikas from the former prime minister’s birthplace, according to The Sun. 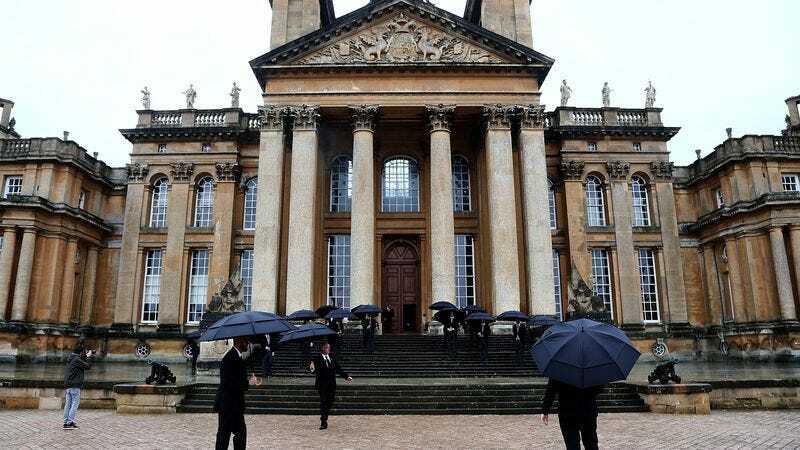 The upcoming installment in the Autobot franchise, The Last Knight, has reportedly let Nazis take over Blenheim Palace, the spot where the man who led Britain during WWII came into this world. The Sun has spotted the aforementioned banners as well as actors costumed as SS officers and other Third Reich paraphernalia. Understandably, people aren’t happy. “I know it’s a film, but it’s symbolically disrespectful to Churchill,” one Colonel Richard Kemp told The Sun. “He will be turning in his grave.” Kemp commanded British forces in Afghanistan. The plot of the film has remained shrouded in secrecy, though it has been revealed that King Arthur will somehow be involved. It stars Mark Wahlberg, Josh Duhamel, and Anthony Hopkins. The A.V. Club has reached out to Paramount for comment on the Nazi situation.